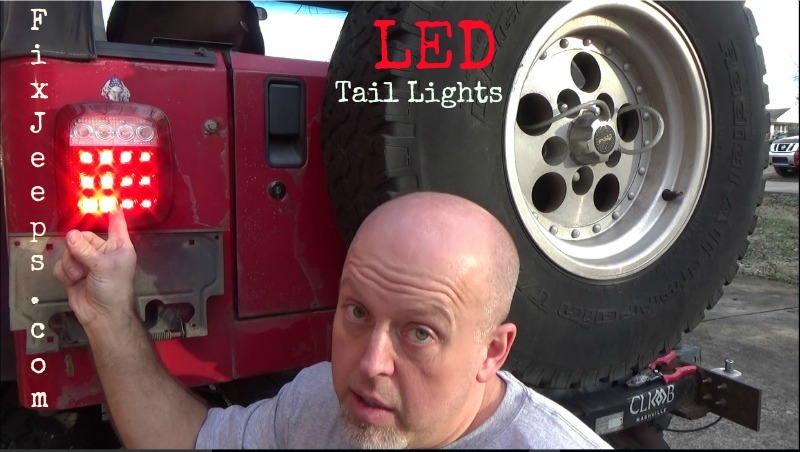 Jeep Wrangler YJ LED Tail Light, nice upgrade from the stock old school filament bulbs. As a bonus you get a more modern style to your ride. These LED tails are waterproof and dust proof to get many years of long life. They also pull a lot less amperage, so it is less of an electrical burden on the old wiring harness. Which in turn can translate to less maintenance issues and more wheel time! The tail lights on my Jeep Wrangler YJ had seen better days. They were cracked, busted and in serious need of replacing. The catch is, my spare tire would swing out and bust my passenger tail light. So whatever I used to replace the old ones with, needed to be flush mount or at least much less depth. This would give ample clearance between the tire and tail light. Below are the LED lights I installed in this video. Licence plate LED Light has 2 wires.